After server migration links in documents are usually broken. 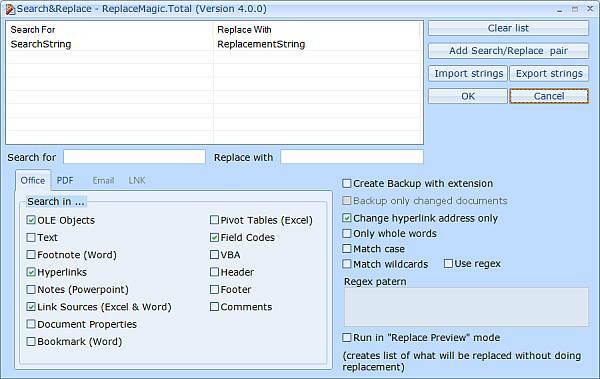 To repair links in Office documents you should use ReplaceMagic.Total. ReplaceMagic.Total support changes in Word, Excel, Powerpoint, Project, Visio and OneNote documents. 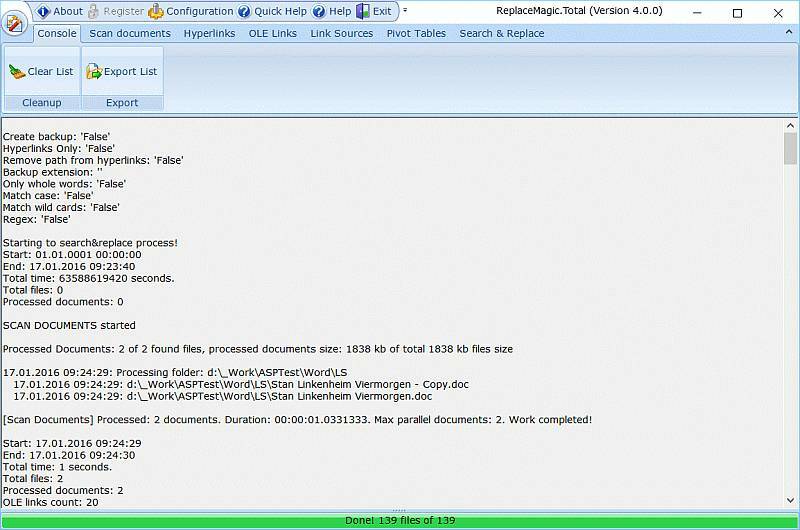 Scenarios when IT staff needs tool like ReplaceMagic are when you need to fix broken links in Office documents or when you want automated way to make changes in different document areas like: change header or footer, change VBA, repair OLE links and similar. 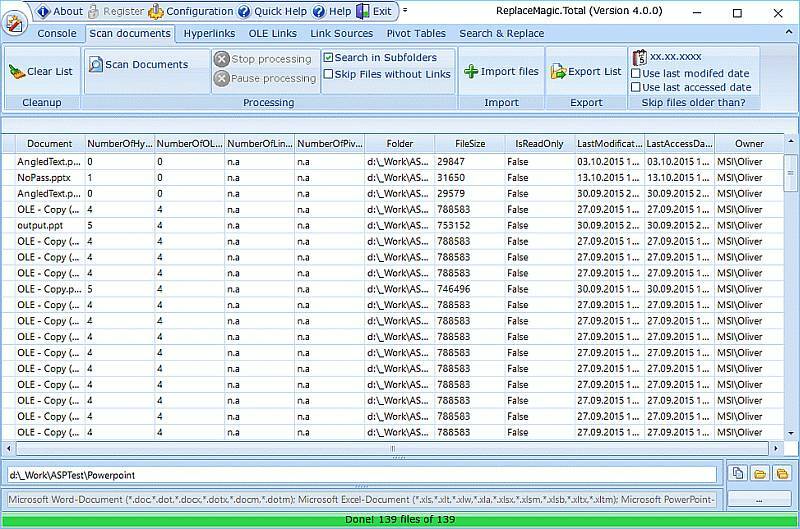 Of course, ReplaceMagic can do that much faster then any human as it will process multiple documents in parallel and do mass replacement fixing broken links.